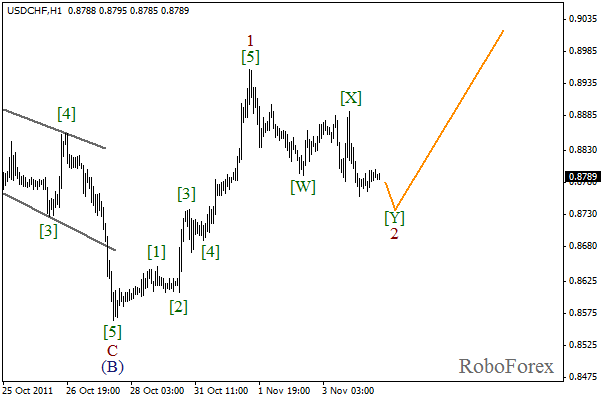 After completing zigzag pattern in wave (B), the price has formed an initial rising impulse. The second wave is about to be finished. The forecast of the price movement remains bullish. In the near term, we can expect the start of the third wave. 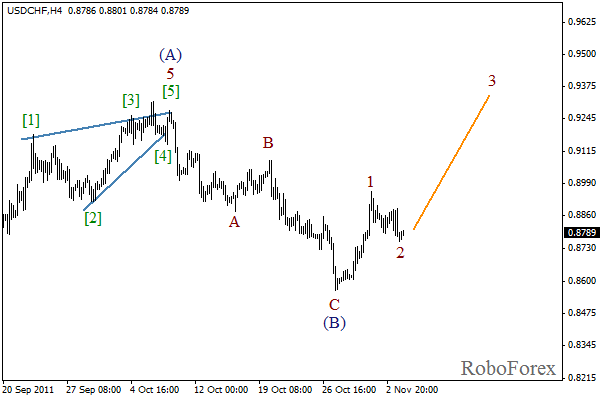 It looks like the second wave is taking the form of double zigzag pattern with wave [Y] being formed inside it. 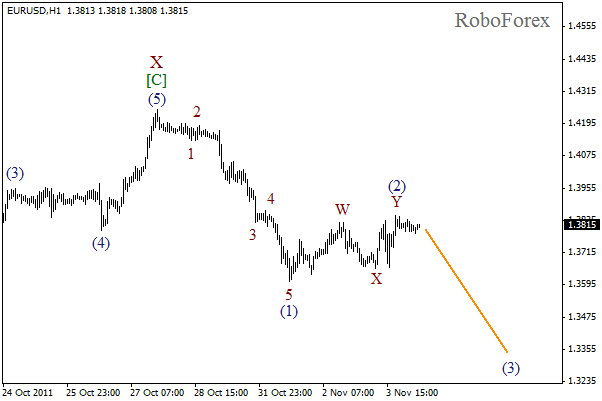 During the day we can expect the last bearish wave of this corrective movement. After that, the price may start growing while forming wave 3. After the rapid fall in the beginning of the week, the price has been consolidating for a while. This movement looks like a local correction in wave [A]. Most likely, the bears will start pushing the market downwards in the nearest future and the price will reach a new minimum. 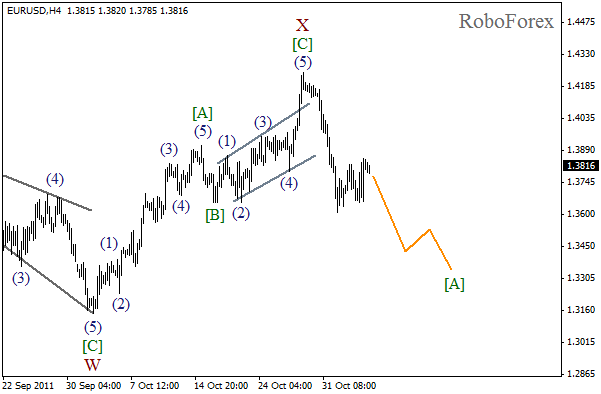 There is a strong possibility that wave (2) has already been completed and taken the form of double zigzag pattern. If we take a look at minor charts, we will see that the current movement is similar to a bearish wedge pattern. So, we can expect the third wave to start during Friday.